March | 2011 | 50 Westerns From The 50s. Riding in real good company. So to have Moira over at Skeins Of Thought bestow a Stylish Blogger Award upon me and 50 Westerns From The 50s is a big, big deal. I enjoy her blog as much for the way she writes as for what she writes about. People like her keep the rest of us on our toes — and show us how this whole blog deal is supposed to be done. The way this award works, the black block logo thing has to appear on the page. Check. I have to list seven things about myself. Check (see below). 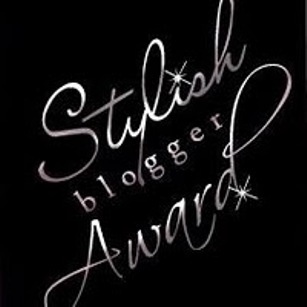 And I have to pass the award on to seven other blogs. Check again (see below-er). Well, here goes. 1. I only wear black shoes. 2. I hate ketchup. Hate. 3. My all-time favorite movie has been Where Eagles Dare (1969) since I was nine years old. The Number Two slot, however, has fluctuated quite a bit. 4. Most of my heroes are dead — Roy Rogers, George Harrison, Joel McCrea, Ed Roth, Randolph Scott, Carl Perkins, Budd Boetticher, Alex Chilton, my mom, etc. — but I’d love to meet Brian Wilson. 5. Perhaps my most memorable movie-going experience: William Friedkin’s Sorcerer (1977) in a nearly-empty theater on its opening night. When the lights came up, it was like all of us had been punched in the stomach. Or maybe it was watching Metropolis (1926) with Forrest J. Ackerman. 6. The opportunity to introduce my daughter to some of my favorite films, music and books — from Trail Of Robin Hood (1950) to The Kinks to The Wind In The Willows — has been a real blessing. Should I take her to a screening of The Fearless Vampire Killers (1967) this weekend? 7. Over the years I’ve discovered that the overall effectiveness of a film can be attributed to a few key elements: writing, direction, acting, cinematography, editing, score — and whether or not or you have a box of Raisinets. 1. Riding The High Country Colin has had a huge impact on this blog (and ultimately, my book). My appreciation (or loathing in a couple cases) of a film is always enhanced by his writing on it. 2. The Classic TV History Blog Stephen Bowie’s commitment to getting it right has been quite an inspiration as I’ve worked on my book. His knowlege is a much better resource than the IMDB. 3. Greenbriar Picture Shows John Elwee’s collection of film paper gives his blog an edge over most of the others out there. He’s covering Son Of Paleface (1952) these days, as perfect a film comedy as has ever been made (and an occasional Number Two; see #3 above). That alone qualifies him for this list. 4. 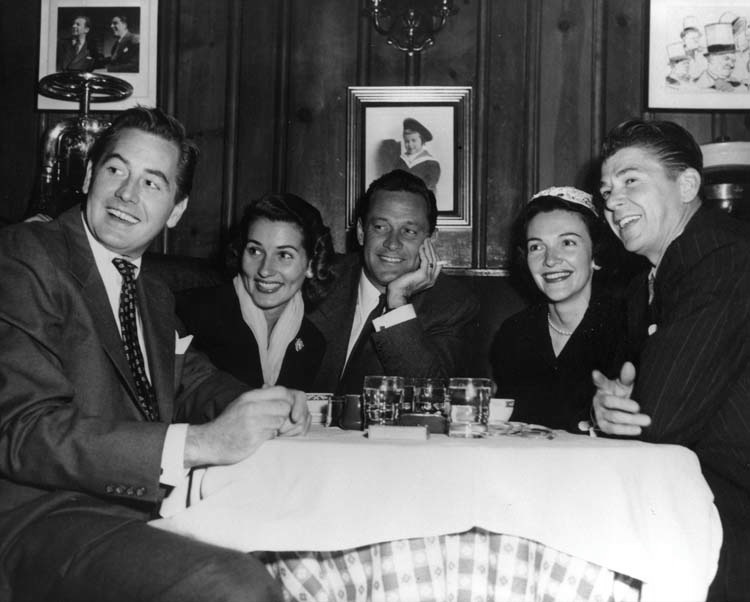 Speaking of Son Of Paleface and quality blogging, let’s not forget Ivan Shreve, Jr. and Thrilling Days Of Yesteryear. 5. Musings Of A Mule-Skinner: Deke Dickerson’s Blog The guitar virtuoso (and founder of The Untamed Youth and The Dave And Deke Combo) tracks down vintage guitars — and the people who played them. Fascinating. 6. Please Pass The Pie Abbie Kiefer is a former co-worker, an all-around swell person, an excellent writer and quite a cook. She even makes food I don’t like sound (and look) good. 7. Laura’s Miscellaneous Musings Laura’s blog does something you don’t find very often. It gives you a very good idea of what she’s like as a person — without taking away from the quality film coverage. That’s quite a trick. Thanks to Moira, and to my Roy Rogers Riders lucky piece, for this honor. Warner Archive is celebrating their second anniversary with a terrific sale — five titles for $50 — through the 28th. 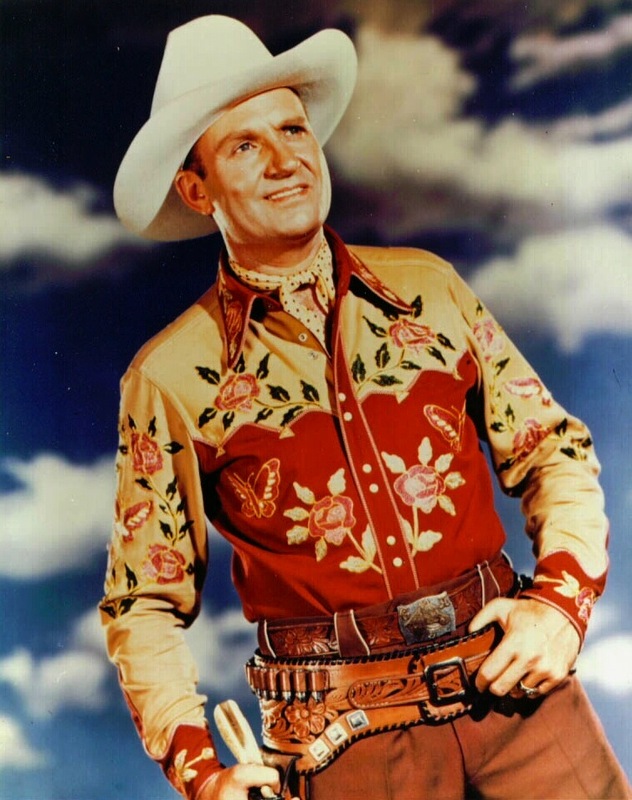 Gene Autry FilmFest This Weekend. 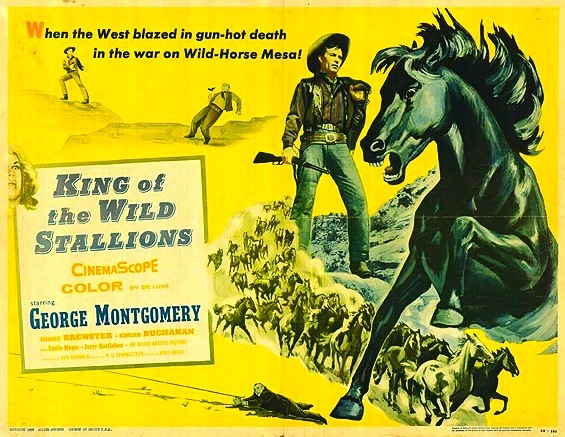 This weekend, the 2011 Palm Springs WestFest will feature a three-day Western film festival highlighting Gene Autry’s film and TV work. Two of the films are among Gene’s best — South Of The Border (1939) and Hills Of Utah (1951, which includes the song “Peter Cottontail”). The passing of Elizabeth Taylor has resurrected the old story of her having chili from Chasen’s Restaurant in Beverly Hills sent to Rome during the shooting of Cleopatra (1962). Here, in honor of Miss Taylor, is Chasen’s chili recipe. Stir in tomatoes and their juice. Simmer five minutes. In a large skillet, saute bell pepper in oil for five minutes. Add onion and cook until tender, stirring frequently. Stir in the garlic and parsley. Add mixture to bean mixture. Using the same skillet, melt the butter and saute beef and pork chuck until browned. Drain. Add to bean mixture along with the chili powder, salt, pepper and cumin. 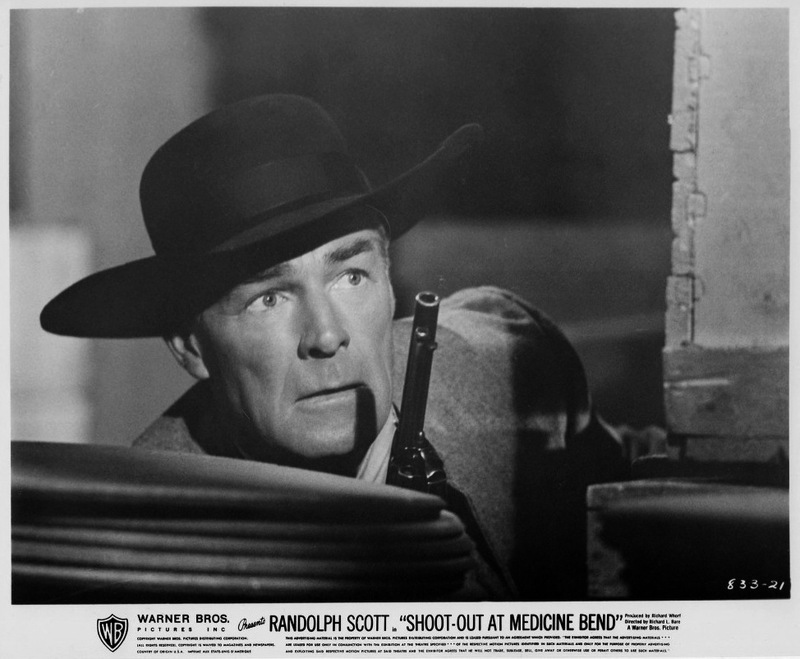 I haven’t seen Shoot-Out At Medicine Bend (1957) in ages, but I remember it being a pretty goofy excuse for a Randolph Scott movie. That’s not necessarily a criticism. 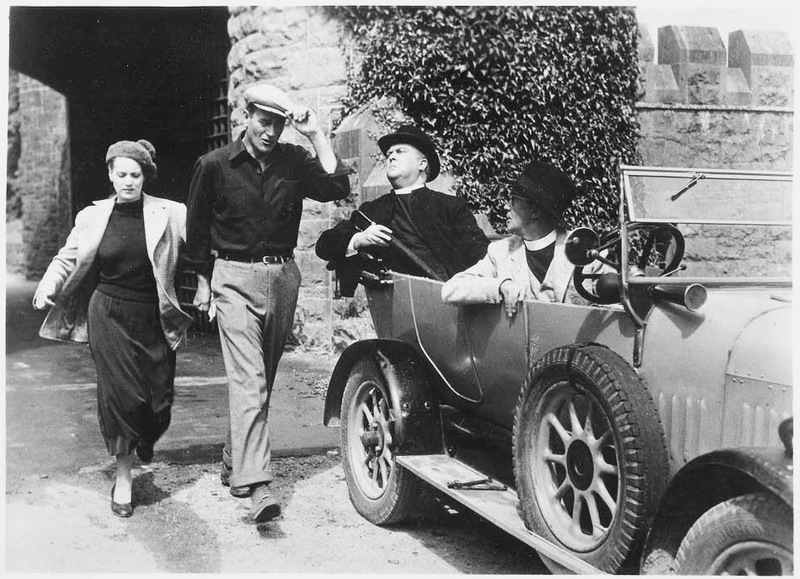 Laura over at Laura’s Miscellaneous Musings wrote a nice post on it over the weekend, pointing out one of the few things I remember about it — it feels more like a Warner Bros. TV show from the period than a theatrical feature. Turns out the picture is available on Netflix Watch Instantly. I’ve never taken the Netflix plunge, but now I’m giving it some thought. Sierra (1950) is an early one. 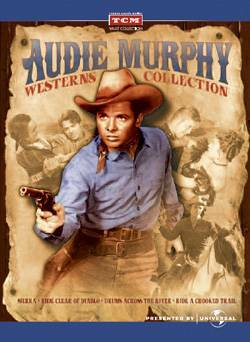 Directed by Alfred E. Green, it also stars Wanda Hendrix (at one point Mrs. Audie Murphy), Burl Ives and Dean Jagger. Ride Clear Of Diablo (1954), in Technicolor. Directed by Jesse Hibbs. This one features Susan Cabot, Dan Duryea and Russell Johnson. Drums Across The River (1954) — Nathan Juran directs Walter Brennan, Mora Corday, Hugh O’Brien and Jay Silverheels. Technicolor. 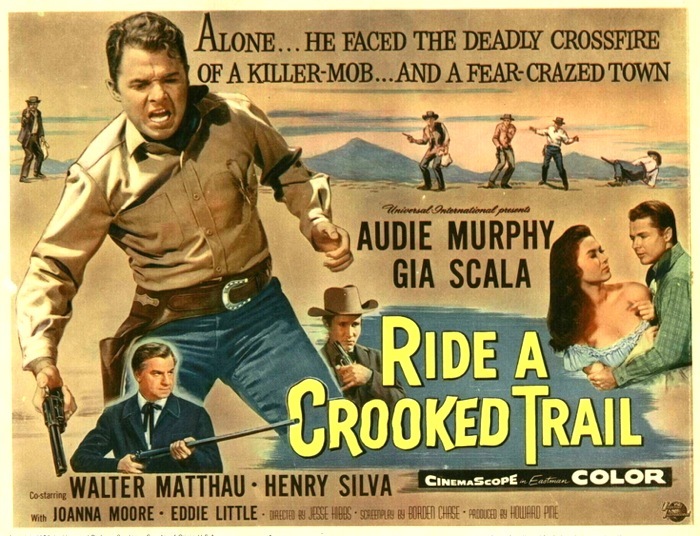 Ride A Crooked Trail (1958), directed by Jesse Hibbs, in Eastman Color and CinemaScope. Written by Borden Chase. The cast includes Gia Scala, Walter Matthau and Henry Silva. With a release date of June 6, it’s available for pre-order now. 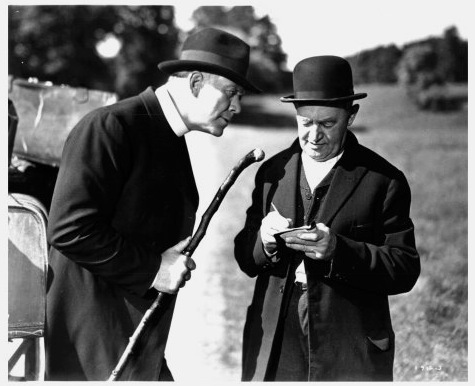 Here’s wishing you a great Saint Patrick’s Day — and wishing the DVD of The Quiet Man looked a bit better. Regardless of the quality of the transfer, I’m sure it’ll be spinning in plenty of households tonight. Wouldn’t this have been a terrific Blu-ray release this week?